I wish I had taken these first two images. 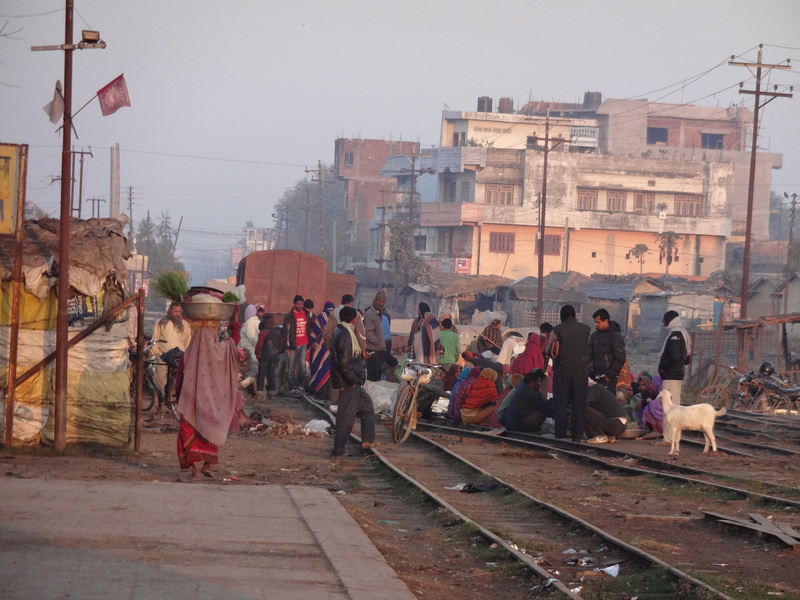 Not only because they are great photos, but mainly because it would mean that Nepal’s only train station — here in Janakpur — was still open. The photographer is unknown to me, but kudos to him/her and I hope s/he doesn’t mind me using the photos. They were shared with me by the hotel manager at the place where we stayed. He wanted to show me what the station looked like when it was last open, which was just over a year ago. 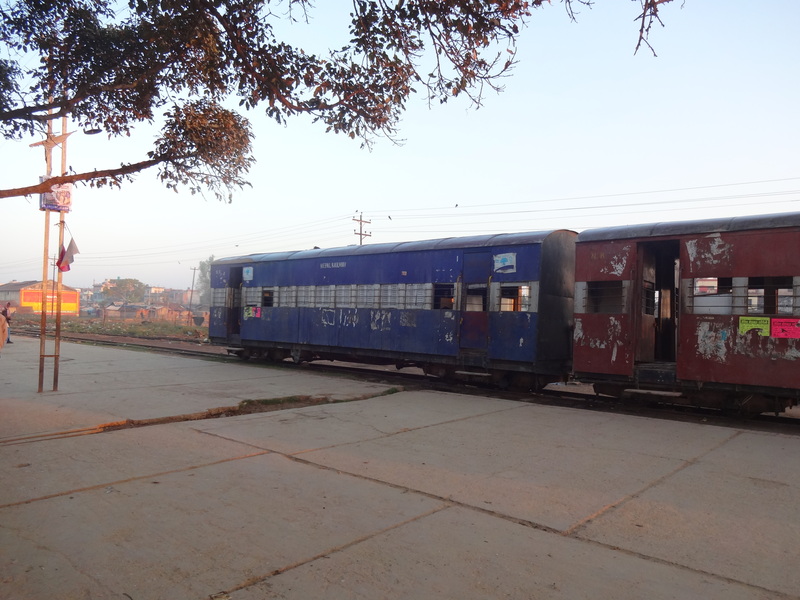 The reason for its closure was veiled in the usual confusion of partial information: management problems, money problems, and plans to connect the line with the train line on the other side of the Indian border. Which…by the way… it may also be already connected to. No one was very clear on that either. Chances are it stopped on one side of the border, but it didn’t connect over completely. But I think a unified Nepalese/Indian connection is now on the cards. 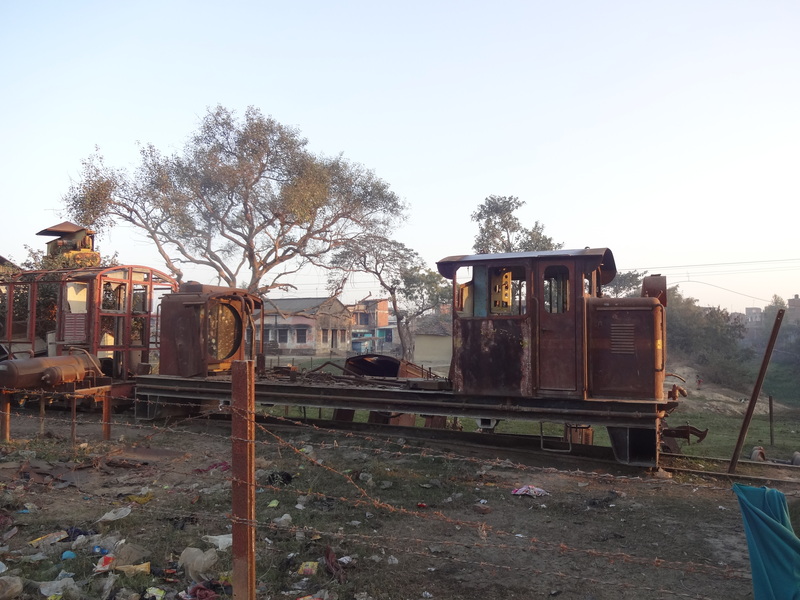 It was the only train line in Nepal, and perhaps the only still functioning, original steam train in the world. The word is that it will reopen soon, but not as a steam train unfortunately. 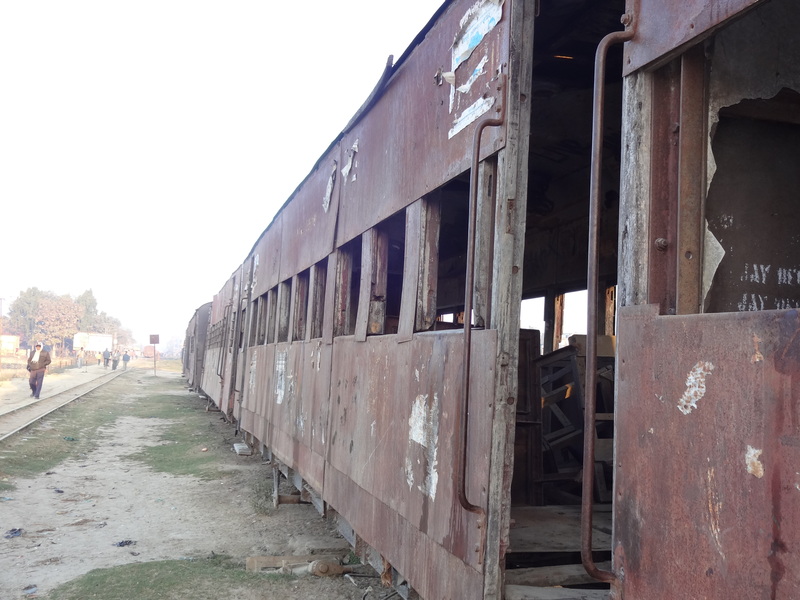 That blast from the past won’t be heard again at Janakpur station. I’m told the old steam train traveled so slowly that you could jump off and walk beside it. Which, of course, helps explain the bravado of the roof and door riders. Not so scary when its not traveling at sixty miles an hour. Rickshaw drivers waiting outside the station. I guess its still their turf…train or no train. But the station’s closing doesn’t seem to have had too much impact on its visitors. The station and track were teeming with life. We walked a ways along the track with many others who were using it as a road to work or school. 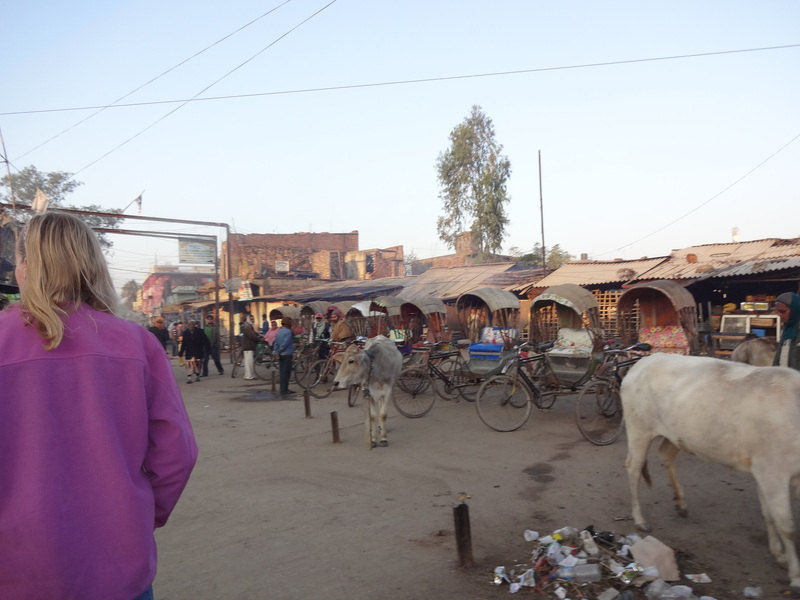 There were bikes, vendors, customers and garbage a plenty. 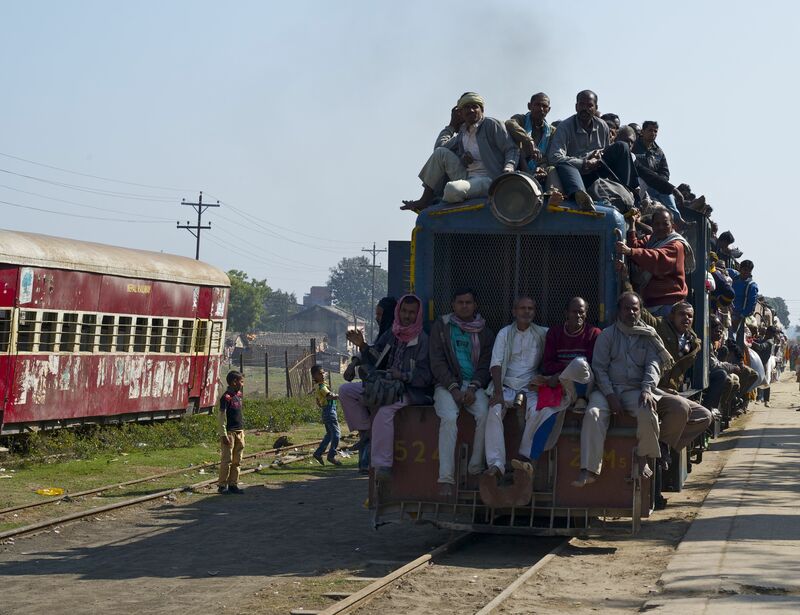 Life was going on as normal, just without the functioning train. 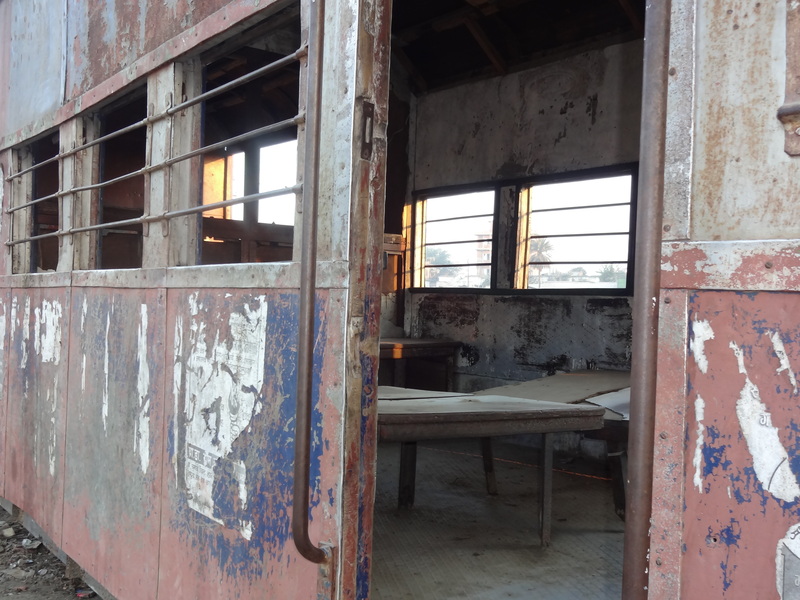 Peeking inside the dilapidated carriages. 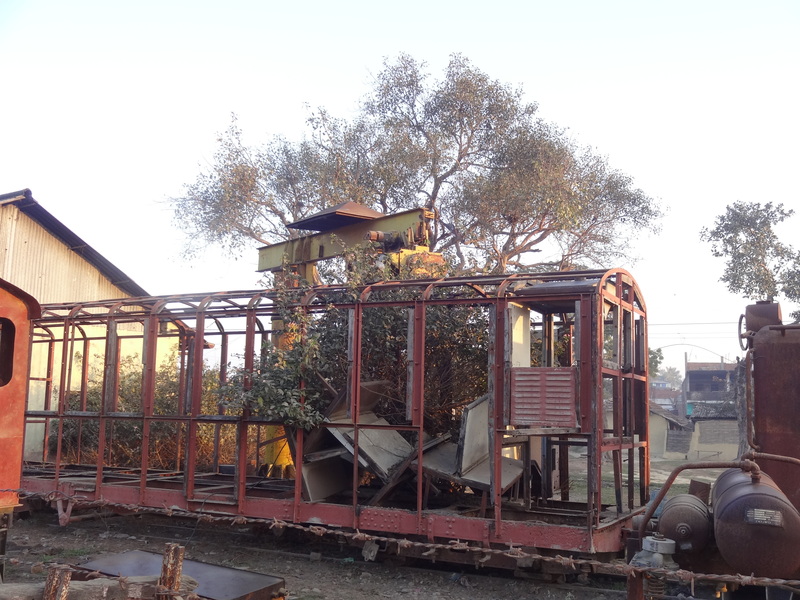 The tree is behind the train. The bush is growing inside it. 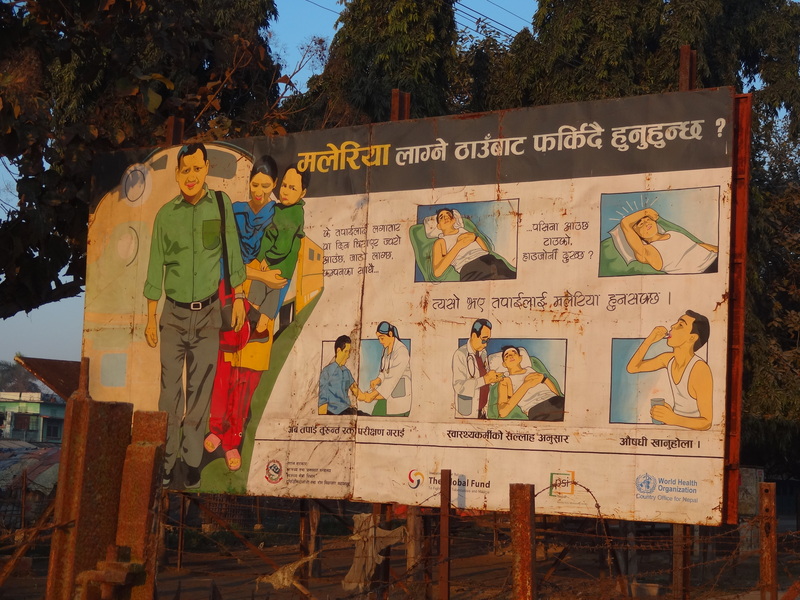 The only billboard I saw, advising passengers that they were entering a district with malaria. I kept getting such conflicting information from people…even on when the station actually closed, but it was a couple of years ago (I think). Rumours and conflicting info on when it might connect with India, open and possibly get expanded through the Terai. That would be great. Its so badly needed here.